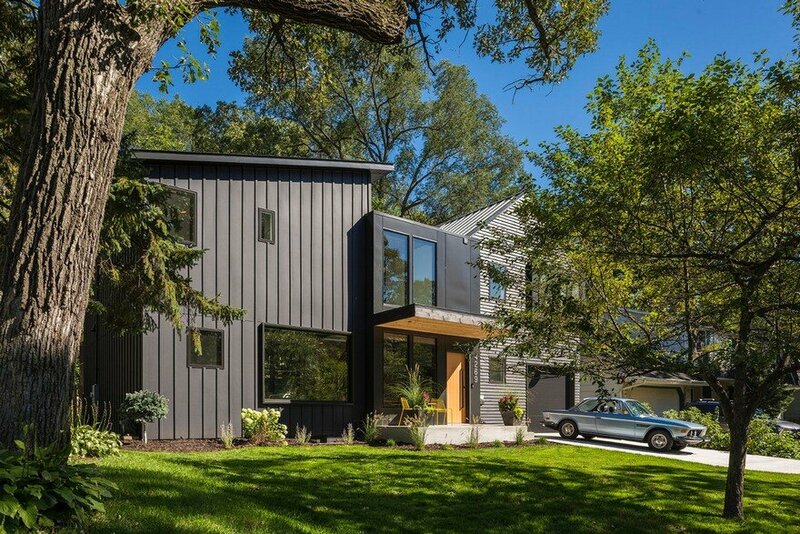 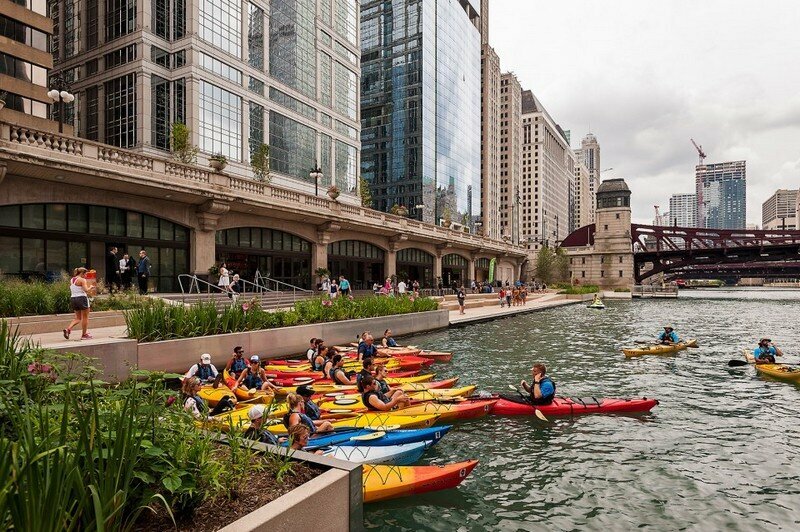 The goal of embracing the river as a recreational amenity seemed impossible years ago given the river’s high levels of pollution. 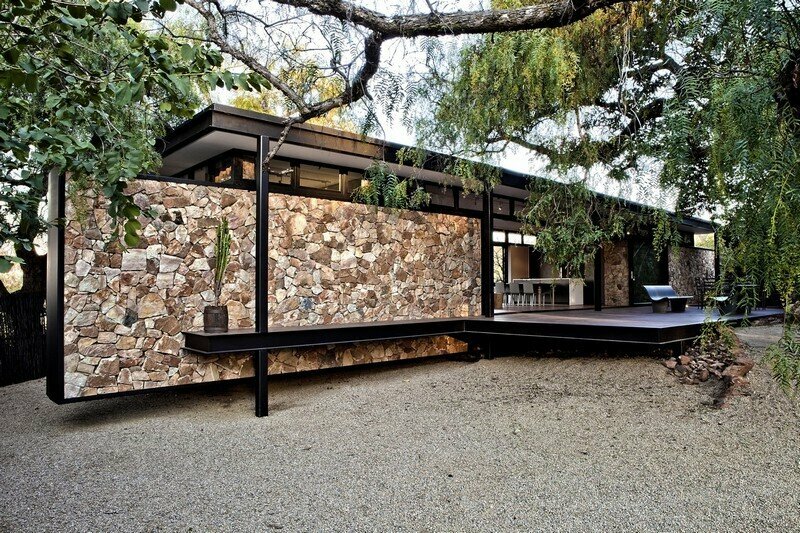 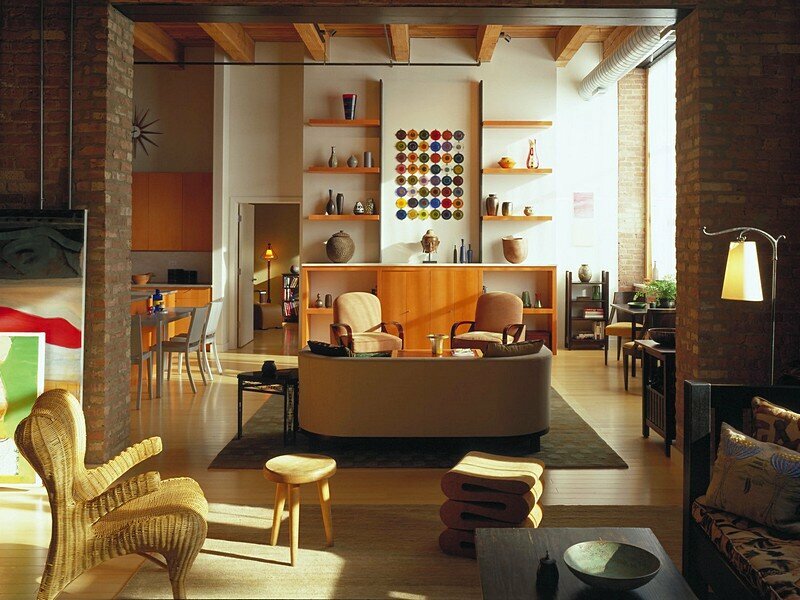 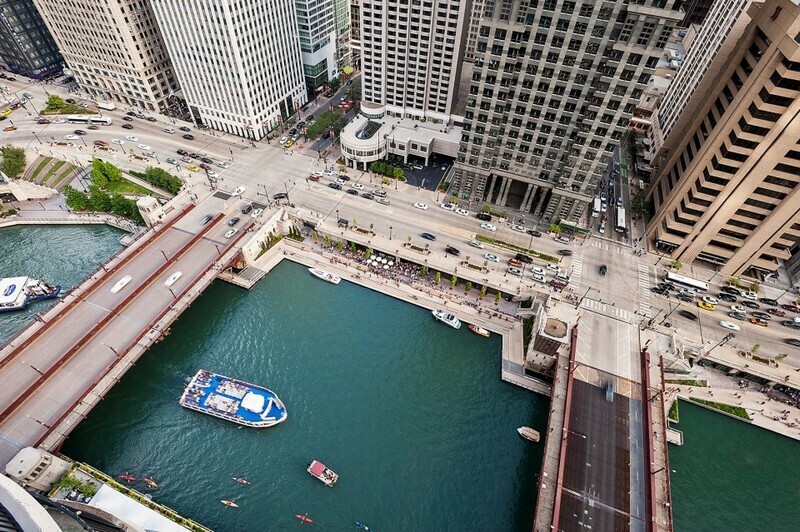 But today that vision is becoming a reality. 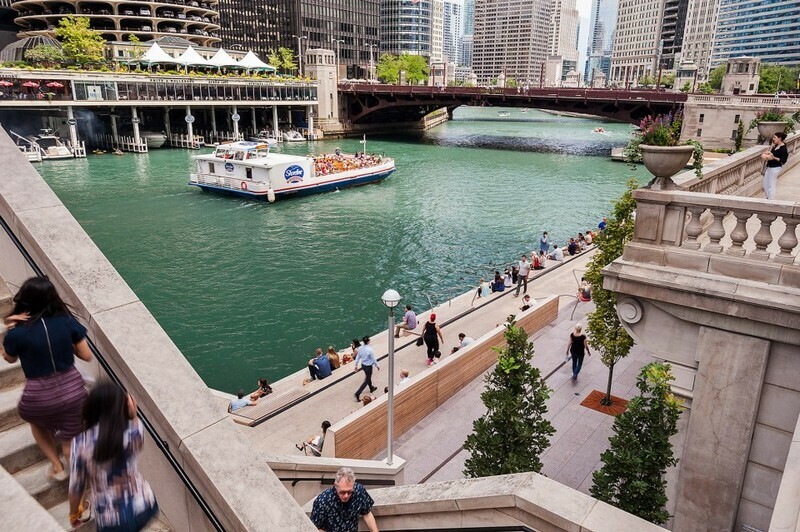 Recent improvements in river water quality and the increased intensity of public recreational use signal growing life along the river, demanding new connections to the water’s edge. 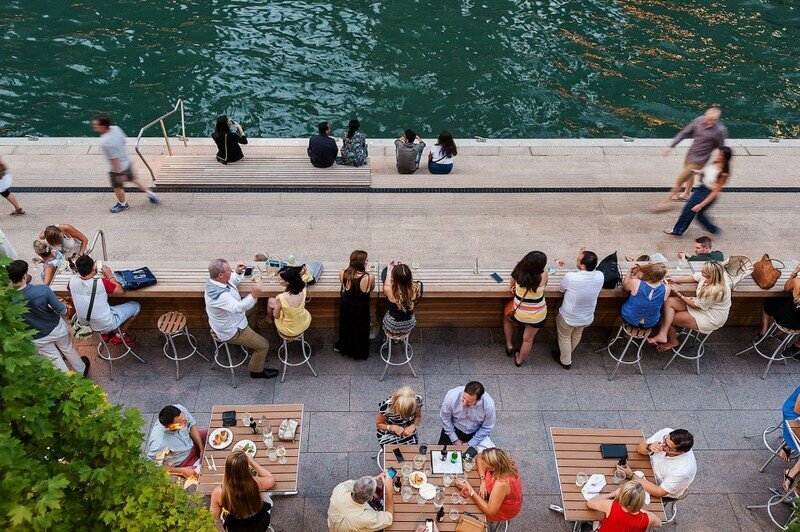 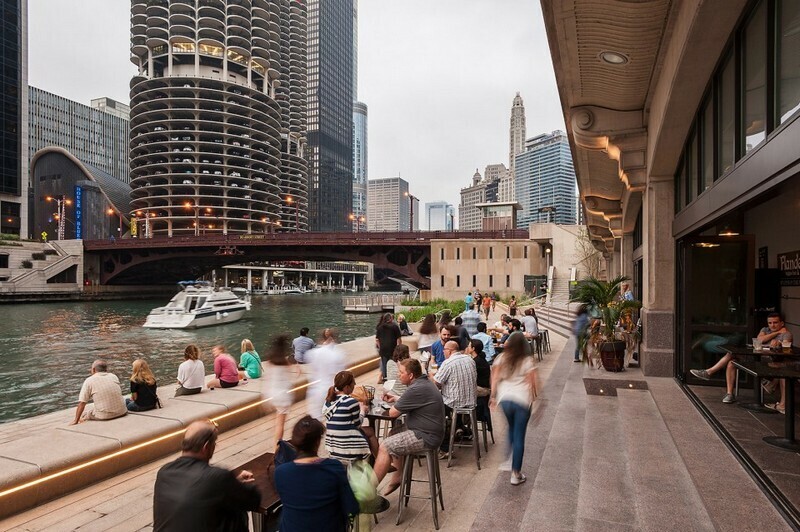 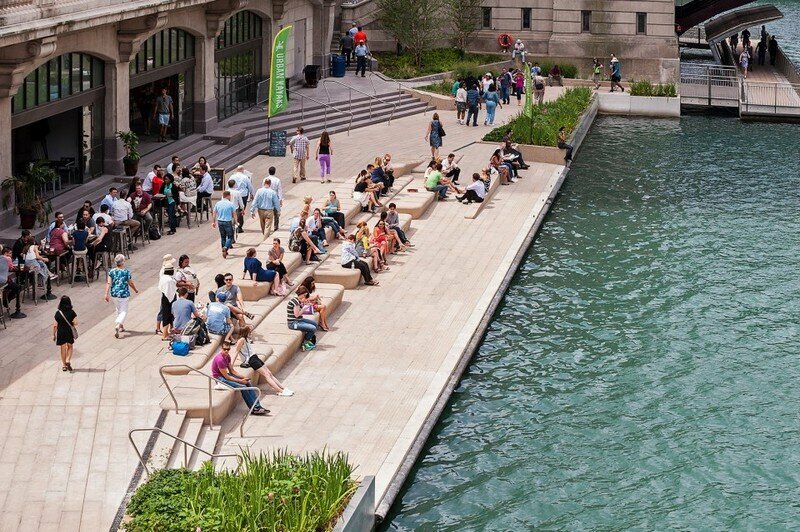 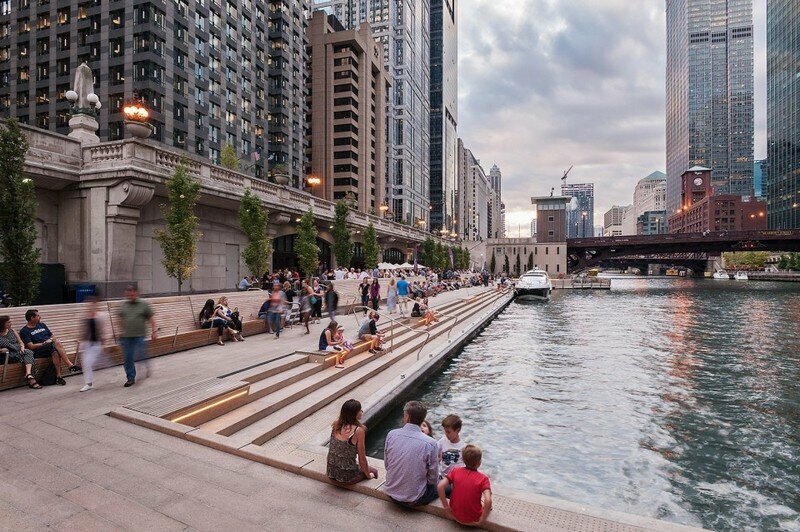 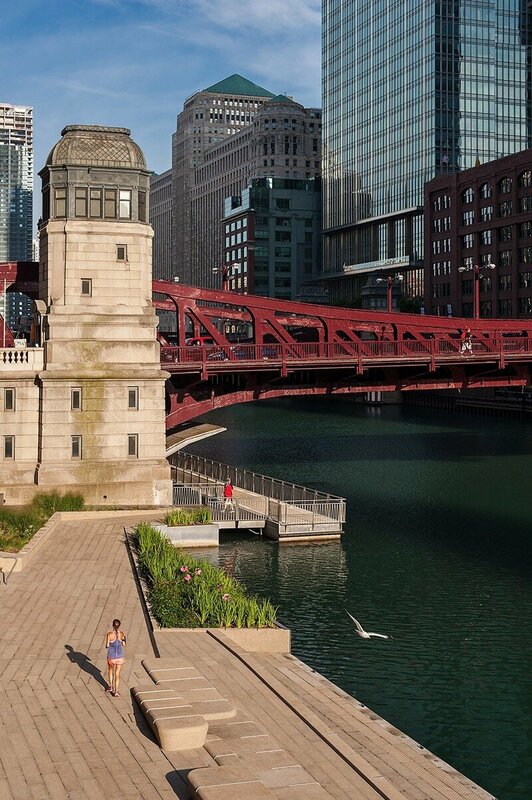 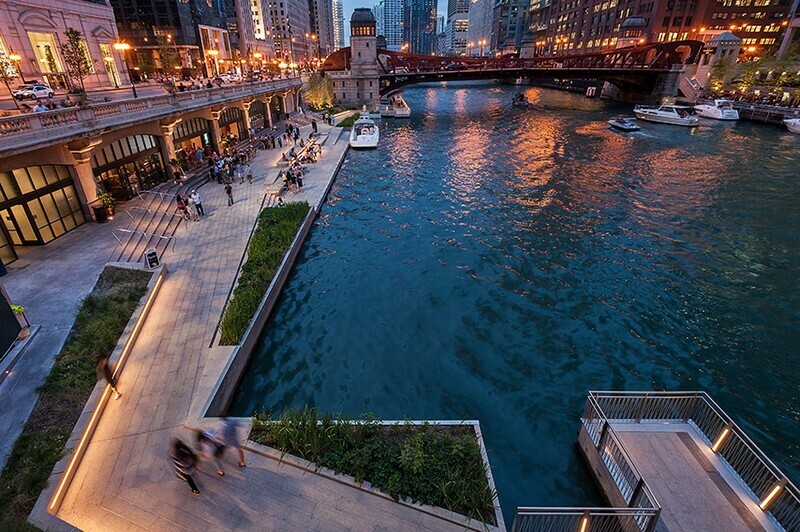 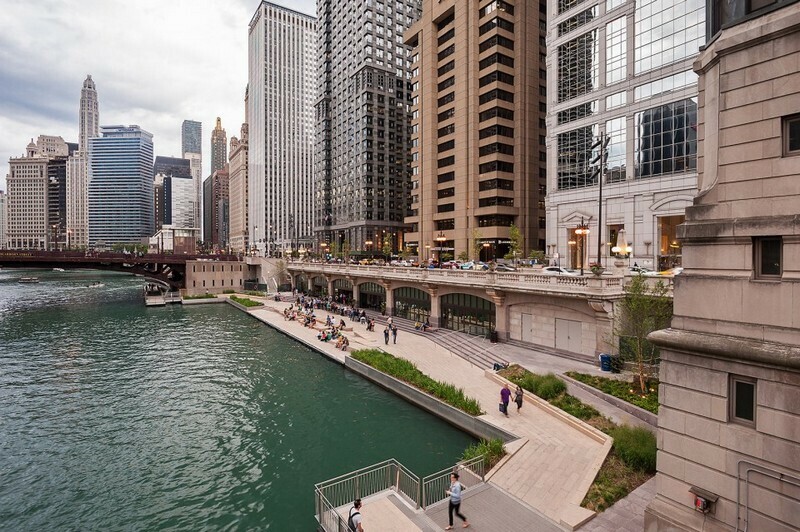 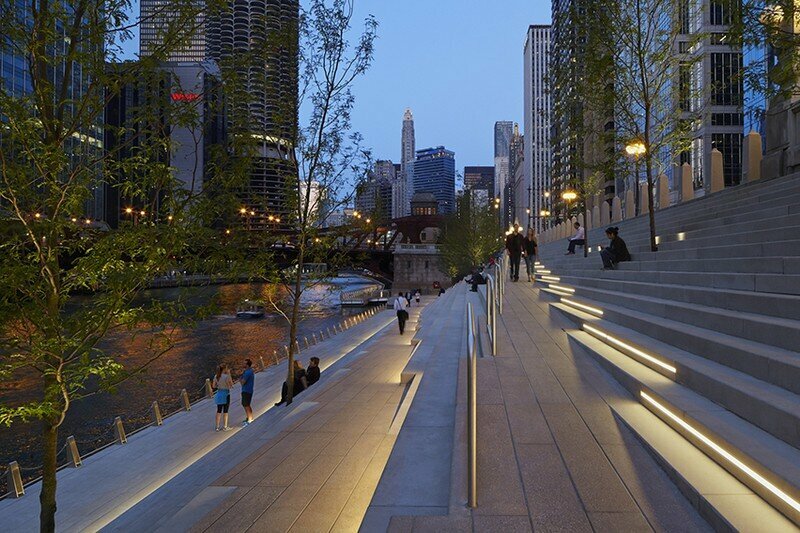 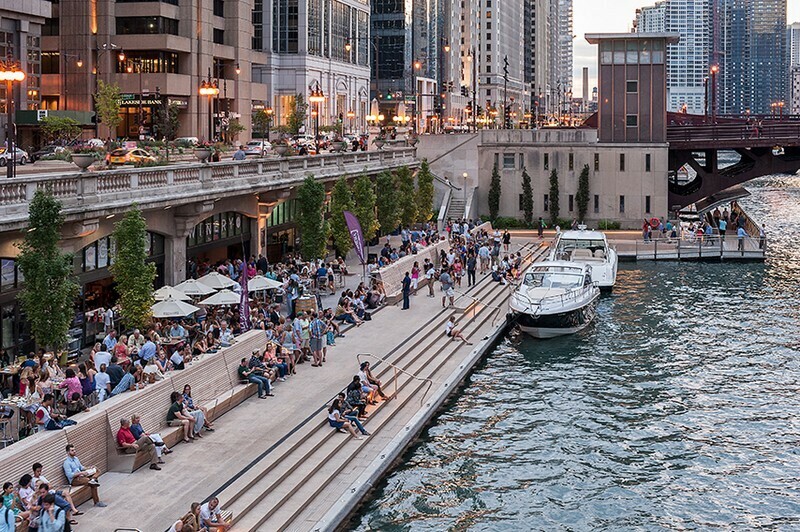 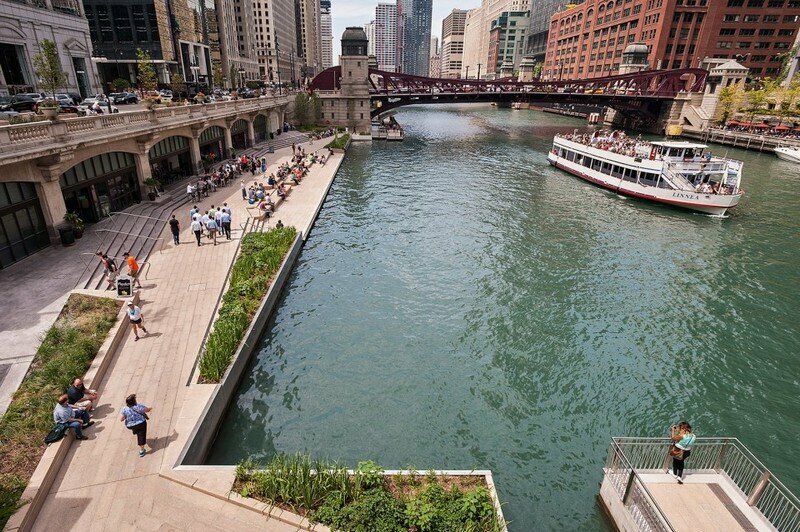 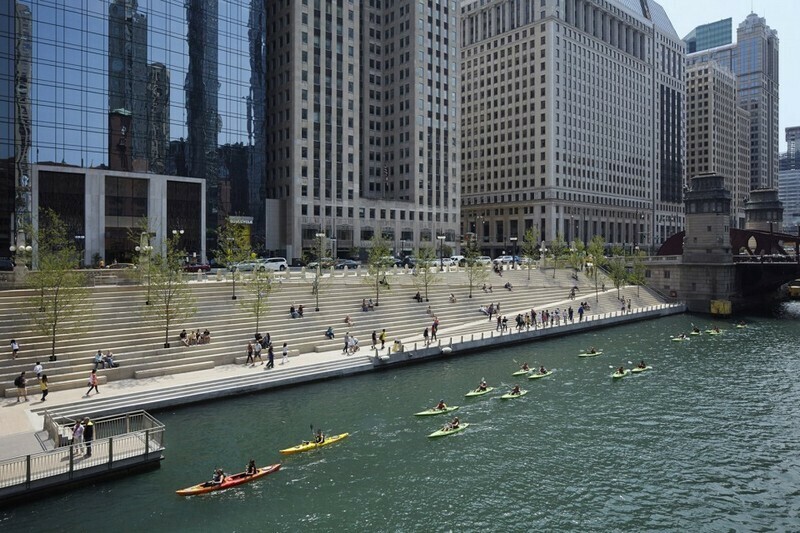 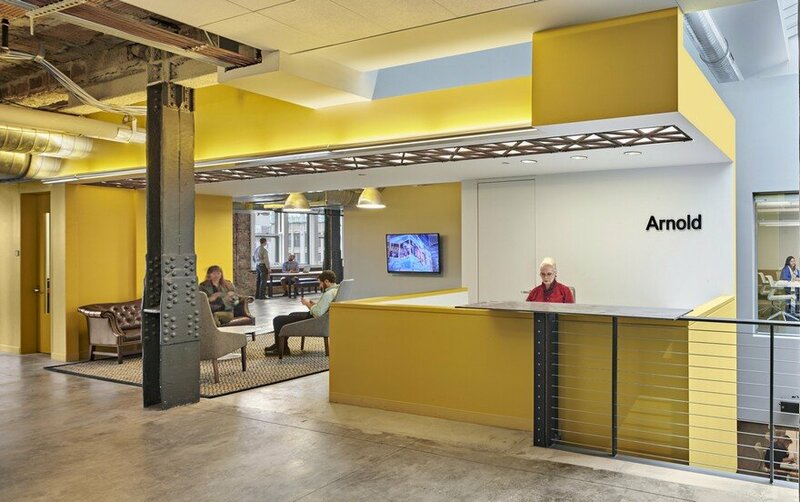 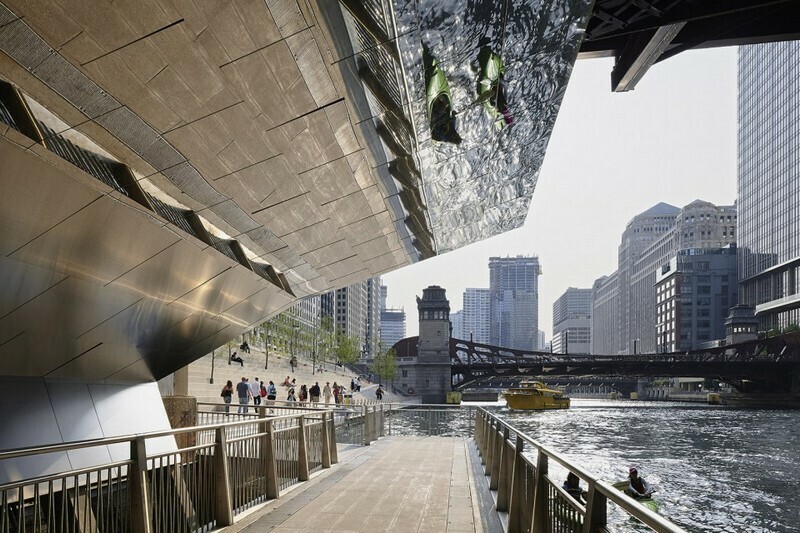 Heeding this call, the Chicago Department of Transportation led the construction of the Chicago Riverwalk, completing portions of the system that include very successful new spaces like the Veteran’s Memorial Plaza and Wabash Plaza. 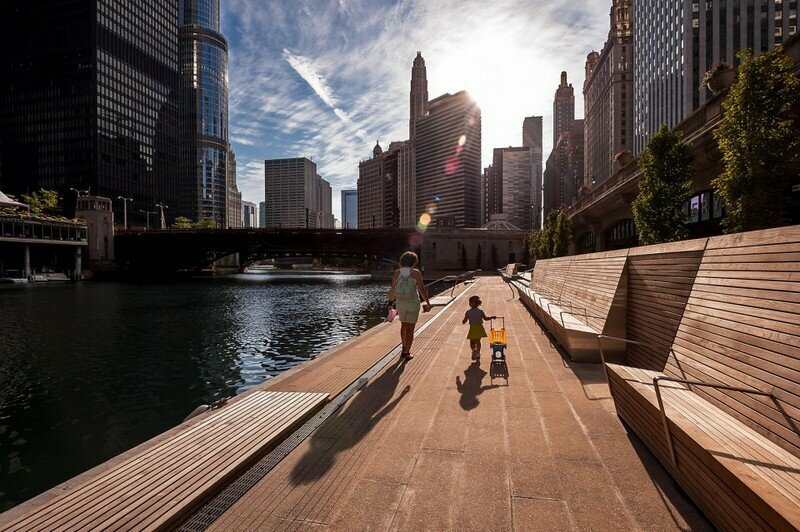 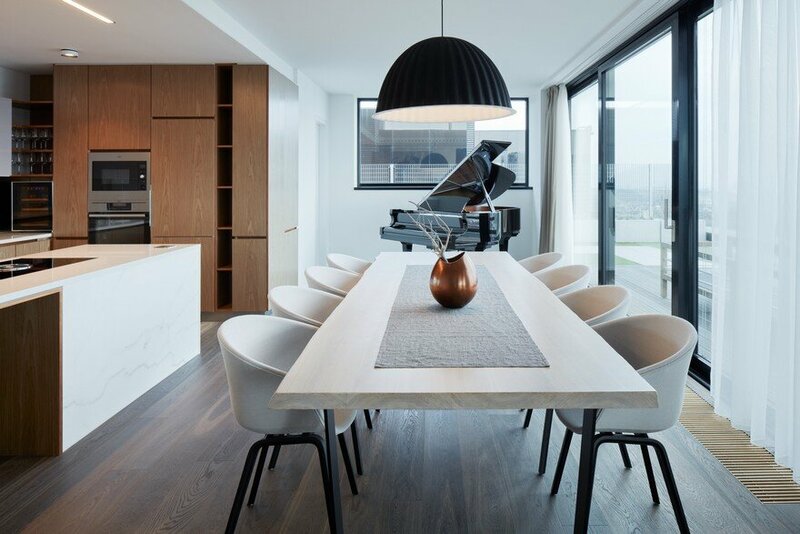 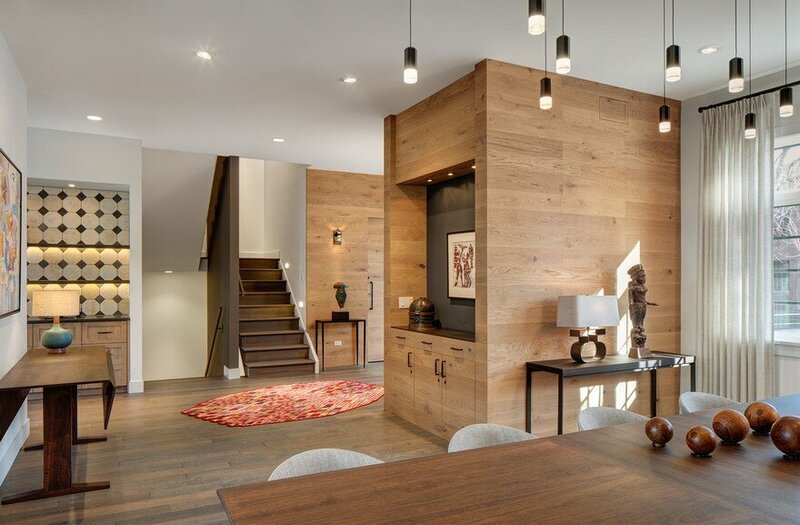 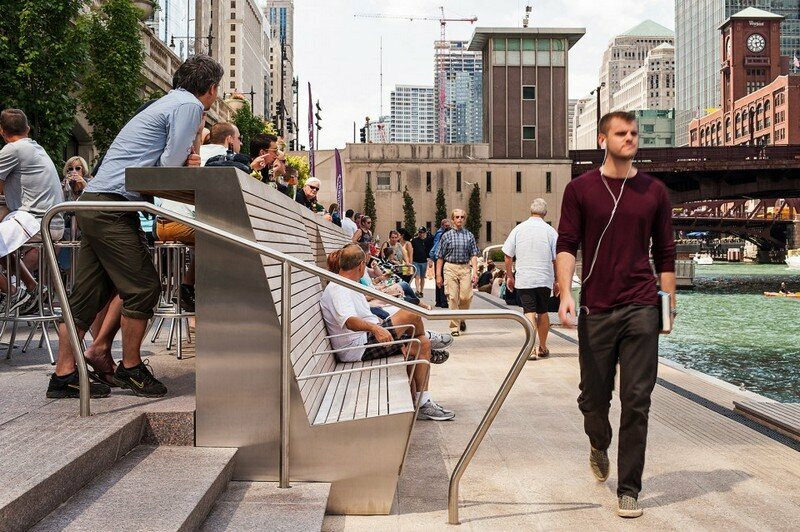 The Boardwalk: An accessible walkway and new marine edge create continuous access to Lake Street and sets the scene for future development in this critical space at the confluence.